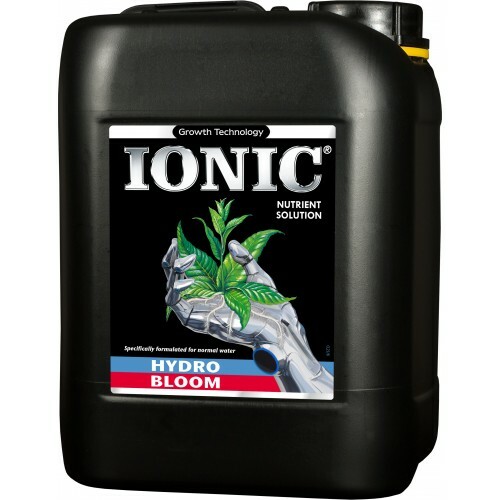 Ionic Hydro Bloom Soft Water is scientifically proven as the most complete and 100% pure stable solutions that deliver the essential nutrients and minerals that plants need during hydroponic growing. During the blooming phases plants reproductive cycles put a huge demand on the plants cells to stimulate energy to grow larger higher quantity yields and Ionic Hydro Bloom for soft water gives the plants all the needed minerals and nutrients to keep them fuelled for lasting production of crops. Ionic Hydro Bloom soft water provides the purest elements without alterations for the complete uptake of 100% pure nutrients in the correctly balanced ratios. Ionic Hydro Bloom for soft water has been proven to propel flowering and creates more robust, higher quality crop yields that will be more potent and aromatic. For the best quality, quantity and potency of crops using Ionic Hydro Bloom for soft water will give you the optimal completely balanced nutrients and minerals to give you the best crop yields. 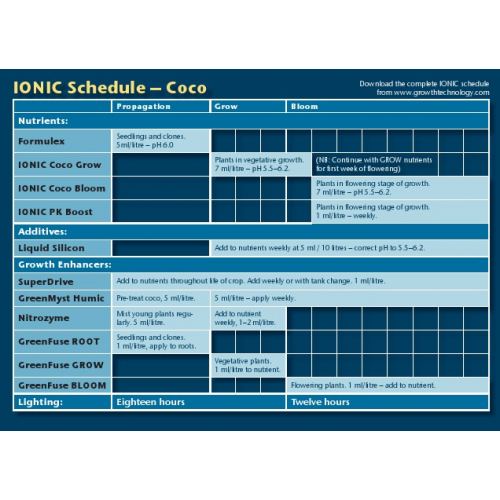 Ionic PK Boost Ionic PK Boost (14/15) is used throughout the blooming and fruiting phase for la..
Ionic Hydro Grow Soft Water Ionic Hydro Grow Soft Water is a complete and outstanding compound ..
Ionic Hydro Bloom Soft Water Ionic Hydro Bloom Soft Water is scientifically proven as the most ..